Assam is a land of full of festivals. 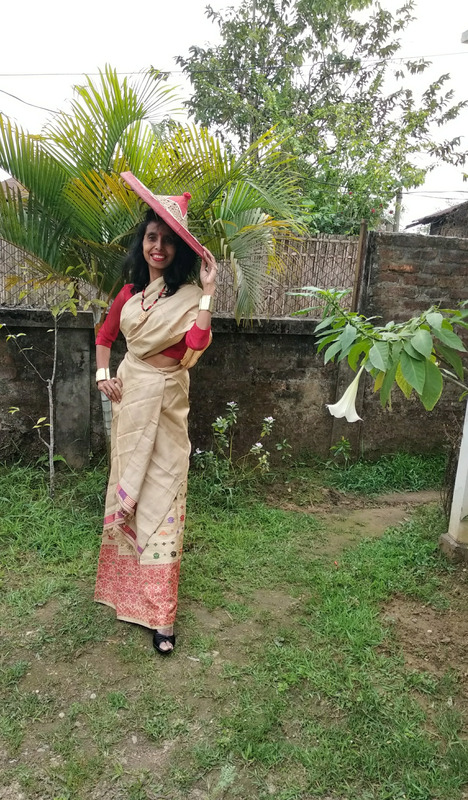 Bihu is one of the most important festival of Assam. Bihu considered as the chief festival at Assam. 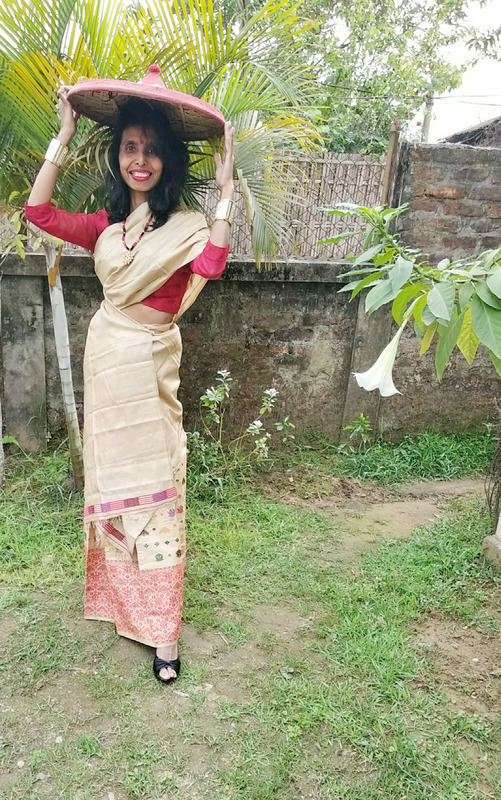 It refers to a set of three festivals- Rongali or Bohag bihu celebrated in april, kongali or Kati Bihu celebrated in October and Bhogali or Magh Bihu celebrated in January. Now This is the month of April, so Rongali or Bohag Bihu started now at Assam. Rongali Bihu regarded as the first day of the Assamese New Year. 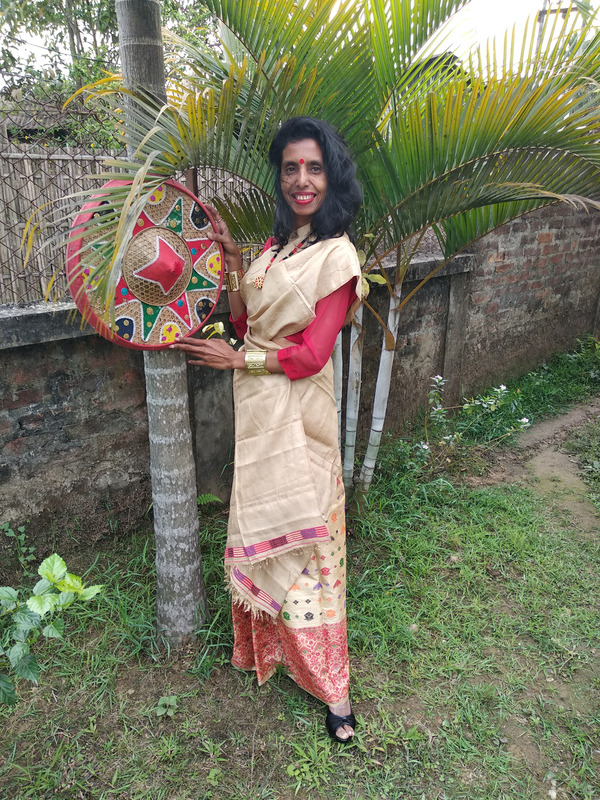 People of Assam fully in the festive mood during this month. 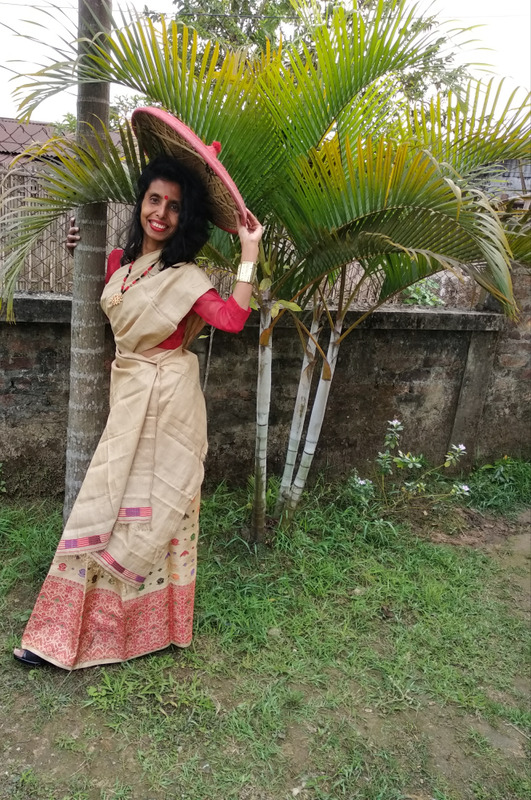 Assamese celebrate the Rongali Bihu with feasts, music, dancing with our traditional attires which is called Mekhela Chador. So iam also in such mood. 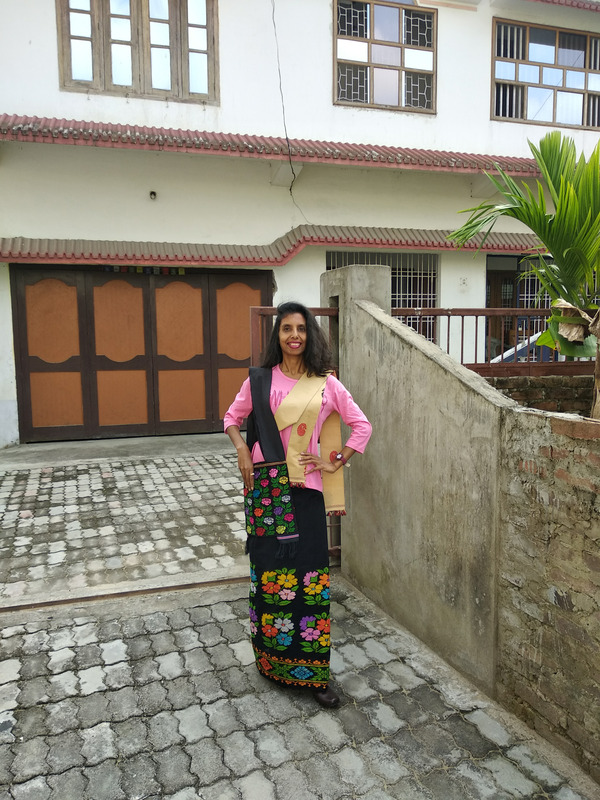 With this festive mood, iam creating a style with our traditional attire- Mekhela Chador. 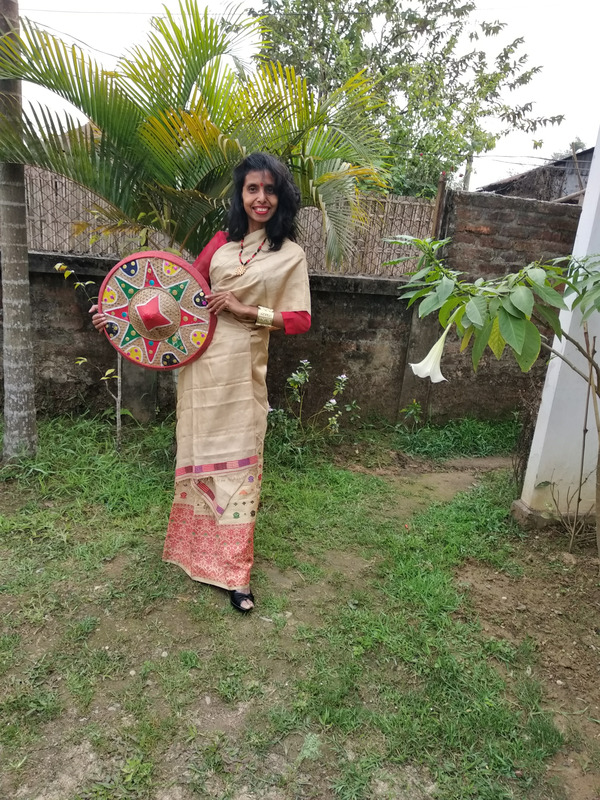 Here Iam wearing Muga Mekhela, Muga Riha, Gaam Khaaru and traditional Assamese ornaments to match with--the Jaapi is an addition to bring the feeling. 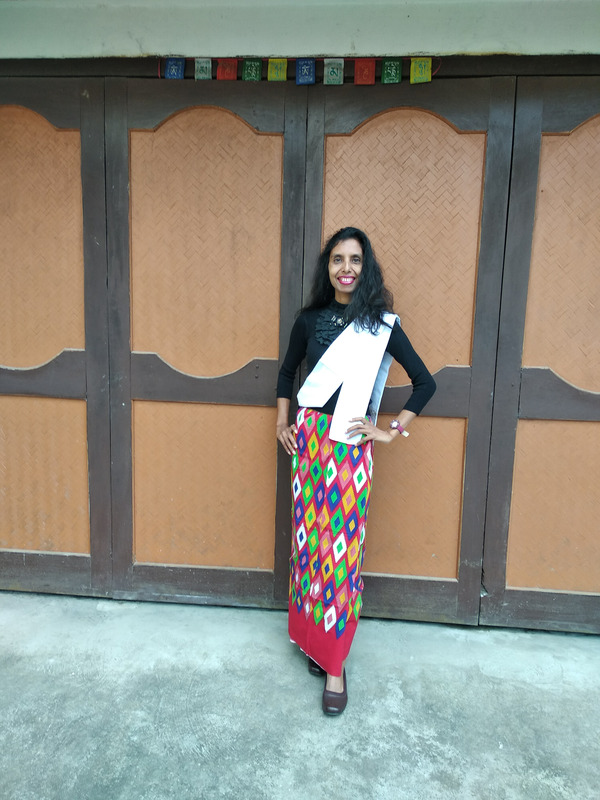 Feeling Bihu Bihu with this attire or look. Iam totally in the festive mood.